At Mairangi Arts Centre on Auckland’s North Shore, the public can see evidence of prison art as a tool of support in the rehabilitation process of prisoners from Auckland Prison and the Northland Region Corrections Facility, which has the country’s only Māori Focus Site. 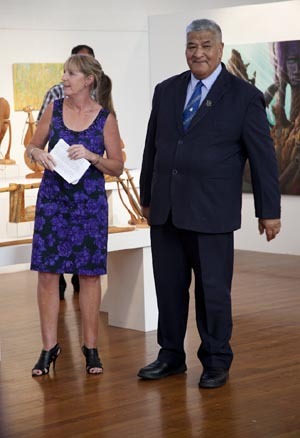 Moana Tipa, Prison Arts Advisor, Arts Access Aotearoa attended the opening of the third InsideOut exhibition on Saturday 31 March. 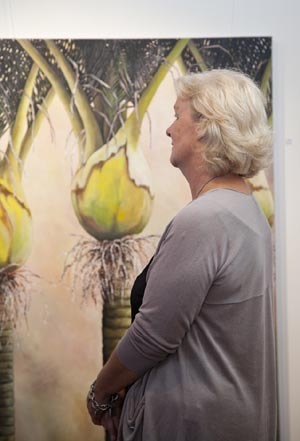 She reports on the exhibition. The artworks reveal new levels of skill. And through Mairangi Arts Centre, new partnerships and commissions of prison art are being developed. In his opening speech, the Hon. Dr Pita Sharples, Associate Minister of Corrections, affirmed the focus of the Department of Corrections to reduce recidivism. He advocated for the healing and reintegration of prisoners through the two new Whare Oranga Ake reintegration units at Hawke’s Bay Prison and Spring Hill Corrections Facility. “The kaupapa Māori environment for selected prisoners nearing the end of their sentences will support their reconnection with culture, identity and community,” Dr Sharples said. Jeanette Burns, Acting General Manager, Prison Services, Department of Corrections, has attended the three InsideOut exhibitions. She expressed her appreciation of the potential for the arts to help reduce recidivism. Artists in this year’s exhibition presented works that reflected strengthened cultural and personal identity. The works were thoughtfully and skillfully produced. There are an increasing number of carving commissions for prison artworks in public places. These are being developed through partnerships between Auckland Council, Mairangi Arts Centre and the Department of Corrections. One such project will see the carving of five large seats for the Orewa Estuary, each seat representing the five marae that encompass the Kaipara. The completed working drawings for the works have incorporated flora and fauna from the area. The Northland Region Corrections Facility is also expanding its relationship with the North Tec tertiary institute in Whangarei, with plans to include training in whakairo. North Tec already delivers trades training in engineering, carpentry, horticulture and mechanics at the Northland Region Corrections Facility, through the Department’s Corrections Inmate Employment programme. A heart-warming addition to this year’s exhibition was the presence of Northcross Intermediate School kapa haka group, which performed throughout the powhiri – to the obvious delight of Dr Sharples and the Department’s Kaumātua, Des Ripi. The school’s presence represents another community prison arts partnership that has been established: a commissioned carving of a waharoa (gateway) at Northcross Intermediate. The five by four metre work that will become the new entranceway to the school was designed and carved at Auckland Prison and will be installed and opened on 21 April. The key works at this year’s exhibition included carved tewhatewha and patu – many of which were worked in a minimalist, pared back style. 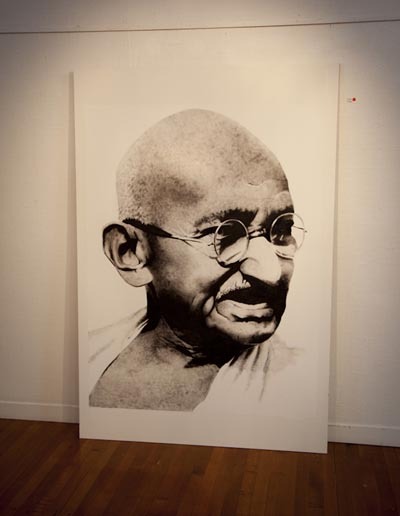 One work of particular interest was a large, skillful, black and white acrylic portrait of Mahatma Gandhi. The artist, a new arrival to Auckland Prison and to art making, was mentored in the making of this work by an established painter in the prison. Original generation time 1.5213 seconds. Cache Loaded in: 0.0004 seconds.